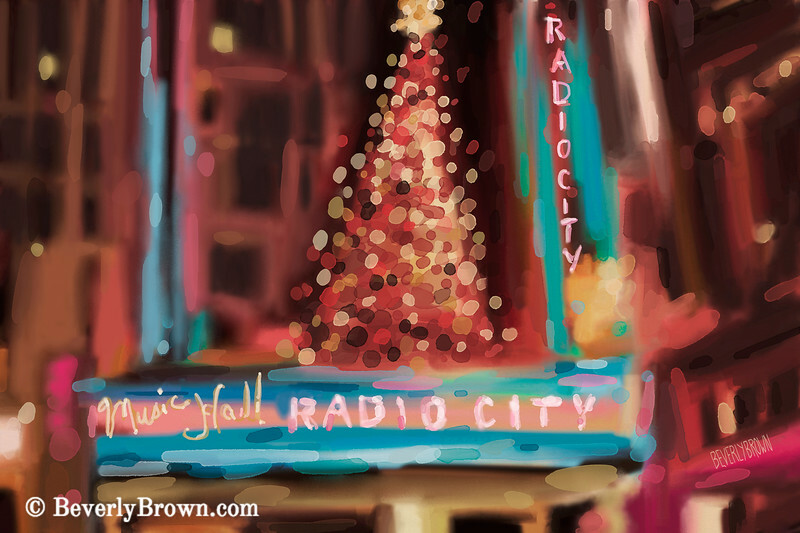 shop now This impressionist style painting of Radio City Music Hall captures the luminous holiday lights of the Christmas holiday season in New York City. It was made digitally on an iPad. © Beverly Brown.